and quite simply this is something I only started taking serious about 2.5 years ago. This applies especially to folks who live in dry climates like Arizona and places like Montreal where VERY cold winters exist, hence dry air because of indoor heating. I'm not going to go in to the what nots and the reasons for why all of this is imperative. Instead I will provide you with links at the end of my post where many kind individuals have already taken the time to write about all this and of course I thank them VERY much. I hope you find this topic compelling enough to make your own informed decision and purchase a humidifier for your parrot's living environment if you haven't already. What I will write about is my rotten experience with humidifiers in the last two years. Perhaps you will pay heed and learn from my mistakes. When I decided that I was ready to purchase a humidifier I did ALOT of internet research and I asked a loads of questions. I finally decided to purchase an Ultrasonic Germ Guardian humidifier. My biggest reason for choosing to purchase this one is because I REALLY liked the notion of never needing to purchase replacement filters. I love saving money and felt thrilled to know that such smart technology existed and even convinced myself I was also helping the environment. What a big mistake that proved to be. I ended up going through 4 of these Germ Gardian ultrasonic humidifiers since December 2009!!!! Did you catch that? Also keep in mind it isn't like I used them all year round. Only during the winter months when the heat was on, yet each machine only lasted me a few weeks. The first one lasted about 7 weeks. The second about 5 weeks. The 3rd about one month and the last one didn't even last 2 weeks. It did not matter that I was scrupulous about maintaining and cleaning all 4 of them. They all died on me. I must have read that darn manual ten dozen times thinking I may have missed one very significant detail about taking care of these machines!! YOu are probably thinking what a dumbass for having gone through 4 of the same machine. She must be bullheaded and weird? You would be right and yes I feel like a big Lollipop right now. This week the last one gave out and I decided that I had truly had enough. It stopped working about 5 minutes before I was headed out the door and running late for an important meeting. To maintain my brand new humidifier the expert also advised me to buy these water treatment tablets to help decrease/prevent mineral build up. If you don't use these, in time this problem can affect the performance of your machine and shorten the life of the humidifier. It was also explained to me that maintenance should be at least once a week. This means taking everything appart and disinfecting the tank as well as cleaning the filter reservoir. The filters need to be replaced with new ones every 30 days and I am also happy to report that I have observed that I can run my current humidifier on MAXIMUM for at least 24 hours without running out of water. To conclude, I just want to say that I personally believe *ultrasonic* humidifiers are relatively new and NOT worth the extra expense unless you have money to burn and time to waste. They also don't seem to be easy to maintain. Until they have been on the market for alot longer and I witness real life testimonials of high and enduring performance I am just going to stick to those good old fashioned humidifiers with the wick and the fan. Yes there are added filter and maintenance expenses but at least it will work when I NEED it to work. Stress is known to kill, so anything I can do to minimize stress in my life is a HUGE plus for me. Please do take the time to read the informative links below too. If you’re searching affordable humidifier, this online store compiled a number of the safest and most reliable that is currently available. Most people are interested in a humidifier that will be quiet and effective, putting your infant in the best possible environment. 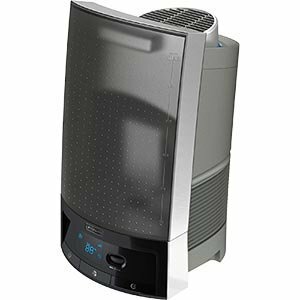 Relaxing Humidifier is a one of the best store which offers a combination of air purifier and humidifier, animal shaped humidifiers with natural evaporation techniques to ensure uniform management of humidity in the entire room and holistic improvement of health by reducing respiratory and allergy symptoms.